Kola Out, Nacho Not Ready: Who to Play at LB? Time for The Skodran! With Kolasinac out for a few months and Nacho apparently not fit/ready to start against Man City, who can Unai pick from to play at LB? Will it be Ainsley Maitland-Niles? Young, very talented and powerful but also lacking a bit of focus at times, Ainsley looks to be our first option right now. I like him a lot and am sure he can do a more than decent job v City – he is that talented. But can he keep his focus for ninety minutes against the rampant Champions? We could see Holding playing at left back. Not his ideal position but he is a bit more mature (and older) than AMN and able to focus for 90 minutes. Not my first choice as Rob is more of a CB than a FB but I could live with it. A more natural option could be Mustafi – with Holding and Sokratis as our CB-pair. I would prefer this to the above options. Mustafi has the energy, aggression and running ability to make the LB position a success v MC. Final options are Mavropanos, the right backs – Lichtsteiner or Bellerin – or even Elneny or Torreira? So I am not worried re cover at LB at all, and my man for the job is the German who was left out v Lazio. A man who will show everyone what a great defender and Gunner he is: The Skodran! But who would you like to stand in for Kola/Nacho at LB? 38 Responses to Kola Out, Nacho Not Ready: Who to Play at LB? Time for The Skodran! Just a thought Total, what if Emery pulls a rabbit out of the hat and goes three at the back? He’s shown that he’s flexible and can switch systems during a match, so going away from the expected Emery 4 3 3 would certainly throw Guardiola, well initially. Good, good! Been waiting for this one Kev. 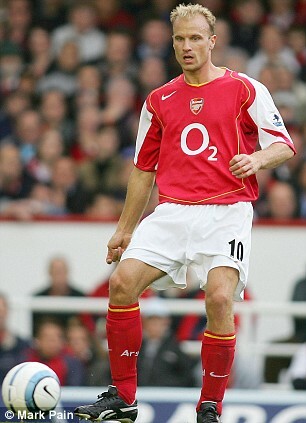 All the fuss about Ramsey, when this one could prove more important over time. I hope it’s kosher JW, tying him to Arsenal for 5 years could be as crucial as sorting out Ramsey as you allude to. It’s a confidence thing with Reiss, once he feels a proper part of things then we’ll have a player on our hands, a player who will eventually play a No.10 role potentially. I’m glad that Emery has made a point of stating that Calum Chambers is going on loan to get matches and experience, not to eventually sell him. Koscielny should be back by early December, so he’ll be like a new signing. It seems to be Sokratis/Mustafi for EPL. answer. Jordi Osei-Tutu was played against Boreham Wood, I believe and since then, it’s been Kola or AM-N. Clearly, he’s the man for the job. With the likes of Bernardo, Sane or David Silva running at you, you won’t be losing focus, trust me; and it’s not as if he hasn’t held his own against such quality of players, so why not? Let’s not forget he did play in games versus Liverpool, Chelsea and United last season. For me, he is the one who will be entrusted to play at LB, unless Emery goes with 3 at the back, as Kev has suggested. Kev i was coming to mention the rumour that Nelson might be committing to us. Very excited to hear, it did have me very worried. I think the raw talent is there to be the player that so many want to buy every season. Ramsey….. I’m angry with his disloyalty. We know for a fact that arsenal pay their youngsters quite well. He hasnt been underpaid, and for many years …and though I don’t expect anyone to give money away in negotiations, to run down a contract with us is a sleazy way to get extra money at our expense. Sign a deal, then earn your move during your contract if that’s what you decide you want.. Stringing us along is selfish as hell. There are ethical ways to behave in negotiations, and if you have to go, do it now, and allow the club to cut our losses. He will be no better than Alexis in my mind. Maybe worse because I expect a little bit more from him to the club. Having said that, If word comes that he has renewed tomorrow, I’ll be back to loving him, all forgiven. TA.. Niles for sure.. No need to explained.. hehehe..
Kev.. So I call you PK now.. its ok..?? What concern me alot it’s not our LB.. but RB.. Must Bellerin play or Licht..
For I feel.. Licht will give us more solidity in back four.. To keep Sane, Sterling or B. Silva calm.. hehehe.. It different if we play with 3 CB with Mustafi, Papa and Holding/Mavropanos.. Then Bellerin for sure be my first choice.. But who will missing in attack..
LB, in the absence of Nacho and Kola goes to AMN for me. He has never failed there even though being right footed his threat in the final third is diminished. He has a casual style with the ball that often gets one worried that he might run into trouble but he hardly ever does. Maybe it’s a sort of special talent of his. If he can learn to be more proactive with his pace (which might be one of the fastest) he would become instantly huge. TA, at your own time. Am not expecting Emery to use a back 3 against City. I believe he’d settle for a 4:3:3 and would try to match City in possession. The great thing about possession football, particularly against strong teams, is that it is at the same time an offensive as well as a defensive strategy. There would be some tough choices for him: Bells or Leich, Douzi or Xhaka, Mkhi or Laca. I suspect he’d be tilted towards Bells, Douzi and Mkhi. Nice headache though. That’s good news about Nelson. After our contract renewal debacles (surely one of the things that counted against Wenger) the club seem to have adopted the policy of early and long renewals to give more space for further decisions. The potential losses in that seems to be less. Talking about luck… espnfc just wrote a few articles on Luck Index. Coincidence? Nope. Dr Geoff, that’s why we need VAR, most Arsenal fans have grown used to seeing us stitched up over the years, it’s what we expect. Reading that Man Utd are the luckiest team in the Premier isn’t really a surprise, it has been forever thus. Except when Liverpool were the luckiest. Johnnie, the Nelson news is really great isn’t it, I can see Reiss developing into a kind of David Silva type of attacker as he matures and develops. Well done the contract guys. Nobody commenting on the ownership news, surely a subject for a post Total?! Nah PK, I don’t think it’ll make any difference whatsoever. Stan was in charge and he will be even more in charge. Has it been confirmed yet? I agree, nothing will really change, in fact, once Usmanov is gone, KSE might invest a bit more in the team as it’ll just benefit Enos & son..? anybody want to comment about Micheal Oliver as the Referee for our first game.. hehehe..
What a coincidence that he also the judge in an unfair City’s win last season..?? Thought I’d read this (Usminov selling)– and yes, a couple of sources (Sky, Sun) reported the possibility two weeks ago today. That’s right JW, there’s been whispers all summer tbh so it isn’t exactly a shock. I could have good old moan about it JW, but that wouldn’t really go with my new positive persona. As per usual I’ve got a slightly different view from my perch ‘over here’. All of the other KSE sports entities have taken a similar tack as with the management changes at Arsenal over the last 24 months. And each have shown quite a bit of improvement over the previous 1-2 seasons. I’ll opine that much of it has to do with a seeming passing of the torch– as these moves appear more aligned with Josh Kroenke’s perspective. Didn’t see any mention of it in ‘Arsenal news sources’ but Josh Kroenke (while a non-exec at the club) was, in April, named as Vice Chairman of KSE. I’m sure that Josh has been spending more time in the UK recently JW, a hands on, not interfering, approach would be most welcome. I’m sure I read somewhere that according to Ivan’s contract, he has to give Arsenal a years notice, so that would give us ample time to find his replacement if true and if he intends moving to Milan. I was going to suggest 3 at the back as a possibility but I see Kev was first to it. Not sure I like the formation. It’s borne out of my lack of confidence in how our defense has done so far in pre-season. Still too many chances allowed, and a lack of sensing danger or being slow to react. So my feeling of going 3 at the back is because of being afraid of City playing through us. However, AMN and Bellerin could get some joy going forward playing as winbacks. Laca and Auba could both start up top, with Ozil playing behind them. with two of Elneny/Torreira/Xhaka/Guendouzi sitting. I’m presuming Ramsey is injured. I don’t normally like 3 at the back. I think a good pressing 433 defeats it most times. But I am scared that we’re going to get smashed by City if we play Sokratis and Mustafi at the back, with Bellerin and AMN fullbacks. Especially because Xhaka and Torreira both didn’t quite look match sharp and we haven’t quite got the midfield understanding yet. Shard, …. Rambo is back training. Emery is likely going to choose a max of one from Lichst, Nacho, Torreira and Xhaka as they would have had just two weeks to build up their fitness and get the hang of what Emery wants. The natural combactive style of Torreira might hand him the start. But we should not be too reactive in our plans. Liv were able to beat City three times last season because they took the fight to them. If we think along containment lines, we would have rendered our fabulous strike force redundant. There is a positive (Kev!) to take from the 3-back approach. Mustafi plays his best in a 3-back as the center-CB. He played well there during our stretch 2 seasons back– and that was where Joachim Low played him for Germany during their WC run and after. Honestly, with Bellerin/Licht and AMN as defensive-minded wingbacks– I could see us do well. As far as City? Don’t know if you recall– but last season we played City (L 3-1) Nov 5th. We were 6-1-1 IIRC, and Arsene moved Coquelin into a center-CB position in a flat back-5. It was 1-0 City until a dicey PEN against Monreal– down 2-0 at 50′. Laca scored at 65′– and we still had hope– until a blown offside against Sterling allowed him to deliver a cheap cross to a wide open Jesus to clinch. Many thought AW was a fool to lineup that way– but in hindsight? It was the best way for Arsenal to play City that day. Would not mind seeing that strategy again from Emery. A flat back-5 with Mustafi in the middle. Yes jw1. I’d feel a lot more secure with Mustafi in a back 3. Not sure how well we will handle Aguero, Sane and Mahrez along with Silva running at them, but I hope it will be enough. Pony eye has a point about being too reactive rather than taking the game to them. However, we’ve had very little time to get the team working together. We still look a little confused sometimes about when to press and when to track runners. Maybe in a few months we can match them. If we’re going for a 433 though I’d play Guendouzi, Elneny and one of Xhaka or Torreira in midfield incase Ramsey isn’t ready. With Ozil, Auba and Laca up front. They’ve looked the sharpest in pre season. Guendouzi especially, even if he’s young. Whatever the circumstances, Arsene would almost without exception send out his team to attack, sometimes with disasterous results, but often as with the FACup S/F and Final of 2017, it brought home the bacon. Now I wonder if Emery is a little more circumspect, you know, needs must and all that jazz? So it could be that he’ll accept the limitations of his squad and maybe go for just one forward leading the line and I might surprise a few and say that he might go with Lacazette. Alex is better at ball retention than Pierre, he’d buy us time to clear our lines and compress the play, give our defence a breather. At Wembley, we had Aubameyang up front on his own and he was anonymous, we were under constant pressure and ended up suffering the worst defeat in a cup final in our history. Not just Aubameyangs fault you see, but he was symptom of that defeat. We can’t afford to carry anyone this weekend, especially if we’re going to employ some kind of press. I’d have all of Guendouzi, Xhaka and Torrieira in our line up. A back three, wing backs and Ozil floating behind Lacazette. High press is highly rated by all. Not as valued but equally as important is the ability to beat the press. Not only does it notify the press but it can turn the press into a disadvantage because pressing more often than not leaves holes behind. Elneny’s pass and move skills are suited for beating the press. Him and Douzi and Torreira might just be what the doc ordered. Torreira is a quick passer and a ball winner. Douzi is also good at the short short beat-the-press passes as well as the line braking passes. That’s a midfield 3 that gives all that is needed: Elneny (main link for beating the press), Torreira (main link for winning the ball, Douzi (main link for transitioning the ball). Kev, … I think Pep wants teams to give his team too much respect thereby conceding the initiative to them. Well they might not whalloped if the opposition thinks containment but they would still win which is very much fine for Pep. Pep is morbid about his opponent having the ball because he knows that’s when he can be hurt. Klopp calls his bluff and gets away with it. We must give ourselves a fighting chance by not handing the initiative to them ab initio. If we would lose let it be while fighting. Agree, but we need 11 players who aren’t going to vanish when it gets difficult, as it will this Sunday, Man City will probably have most of the possession but it’s what we do when we’ve got it that counts, Guendouzi is new to them as is Torrieira, hopefully the unfamiliarity will catch them out. If we go a goal down and start chasing, we’ll get mullered, so we have to keep it tight and frustrate them. 0-0 at half time will do me, 1-0 or 1-1 at full time. Gentlemen, we are home in Emery’s first EPL game in charge. We CANNOT lose!! I mentioned the flat back-5 upthread– and could see that with Torriera just in front. Would like to see the four counter-attackers as Mkhi-Ozil-Ramsey– with either Laca or Auba to start. With the option to sub or add the other based on on in-game need.